Did I ever tell you about the time I was lost in a dark park? I went to a girl's night out event with the homie. There wasn't parking available nearby so we had to park and walk quite a distance. Our walk took us through a very large park with lots of tunnels and winding pathways. It was very scenic and beautiful but also hard to navigate the direction we were heading in. We got turned around. We got lost. Since we were together it wasn't too bad. We laughed and gabbed and went in several different directions. It took us 30 minutes to eventually find our way over to the party. Had I been walking alone, I would have been completely panicked. I do what I can to protect my personal safety. I lock my car doors as soon as I get in. I try to walk in well lit areas. I walk with my keys in hand. I check my surroundings and walk at a faster pace. I still don't like to walk in the dark especially by myself. We had each other but having someone else know where we were would have made me feel safer and more at ease. 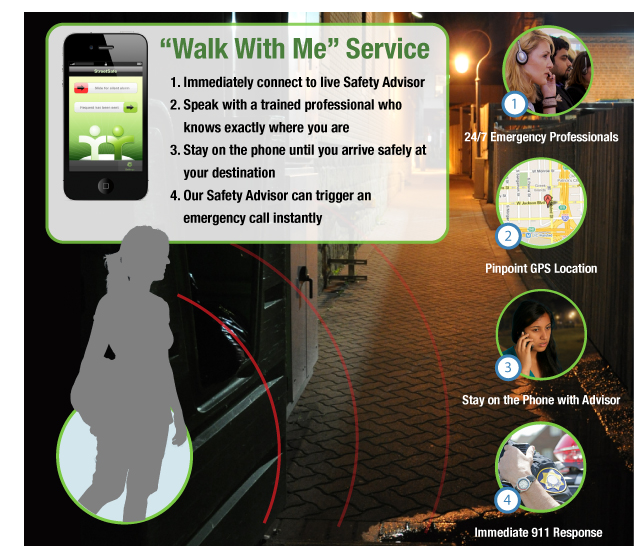 It would have been nice to have StreetSafe personal security service. StreetSafe offers personalized safety and support exclusively on smart phones from most major manufacturers. The service is available 24/7. 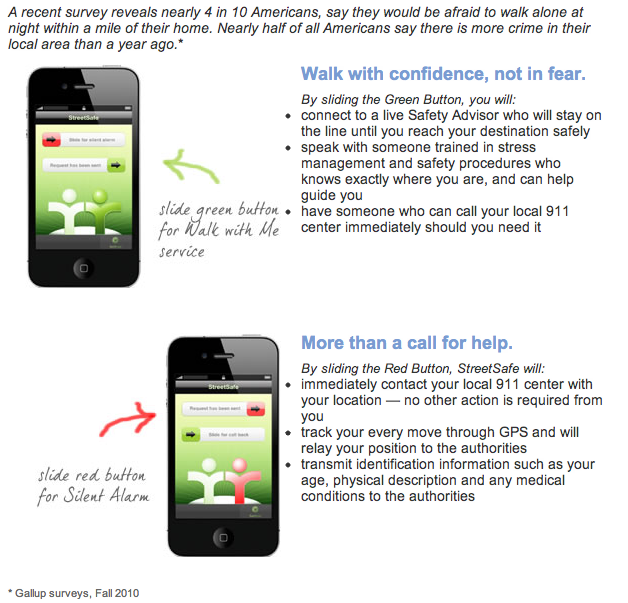 If you slide the green button to the right a safety advisor will call you back and stay on the line with you while you walk to your destination. If you slide the red button, a silent alarm is activated and your vital information is transmitted to your local 911 and your GPS pinpoints your exact location. I don't plan on walking through the park any time soon but sometimes I do find myself having to walk alone and in the dark when exiting my car. Street parking can be tough in the city! Last night I had to walk a couple of blocks by myself so I called to try out the Walk With Me. After sliding the green button, within 20 seconds, I received a callback. The safety advisor calmly asked if I needed emergency assistance. I let her know I was just walking by myself and wanted to try the service out. She said ok and to call anytime. It felt very comfortable and even though I was on the phone, I was still able to remain focused on what's going on around me. I wasn't distracted and it was nice to know someone was there should I need assistance. I asked E if it was a service he would use. He said no. He doesn't really think about such thing. I thought that was interesting especially since he has been the victim of a serious crime. Perhaps, it's a female thing. Visit StreetSafe online to learn more about the services provided including pricing and plan options available. Are you conscientious about your personal safety? I'm usually pretty aware of my surroundings but I like the idea of this. Having a little extra security is always nice. What a cool service! Love this idea. 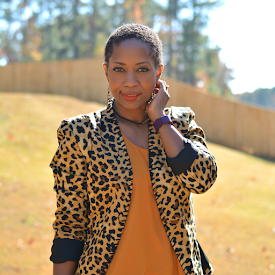 This is a great service to know about- especially for women. That is so cool! I travel alone sometimes as a photographer and I love finding apps like this. Wow, so important to try to be as safe as you can. Thanks for the tips. I'm with you on probably freaking out if I were walking back through that park alone. It is so important to know how to keep ourselves safe! Thank you for sharing this with us!